The open design of the Cranbrook allows for seamless transitions from kitchen to gathering room to dining space. Pulte Planning Center® - Space for homework, bill paying or charging station. The Cranbrook is a large single level home design with open and functional living spaces for entertaining. Take a modern approach to your brand new home with the Cranbrook exterior C option with contemporary touches. The expansive Cranbrook keeps families connected, with a central great room that flows to the modern kitchen with large island and sundrenched nook. 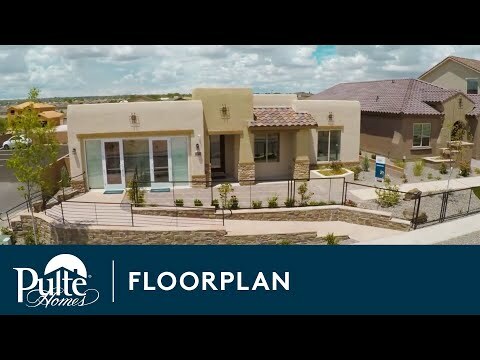 Thoughtful details throughout include a Pulte Planning Center® perfect for a homework space or laptop station, and a spacious covered patio, allowing for family meals al fresco. A study and flex room offer versatility for a media room or office space. Step inside Cranbrook to see the Life-Tested Home Designs® with more usable space where you want it most. So you live the way you want to live. The Cranbrook is known for its abundant storage space, from the walk-in closets to the oversized pantry and storage room. Add additional natural light to the Owner’s Suite with the option of a bay window. The Owner's bath also offers an optional oversized shower. Add French Doors to the den to create a perfect home office. The Cranbrook's bedroom space impresses with walk-in closets and flexible living space between, perfect for a playroom or study space. The large single-story home is also complete with a Pulte Planning Center just off the Gathering Room.